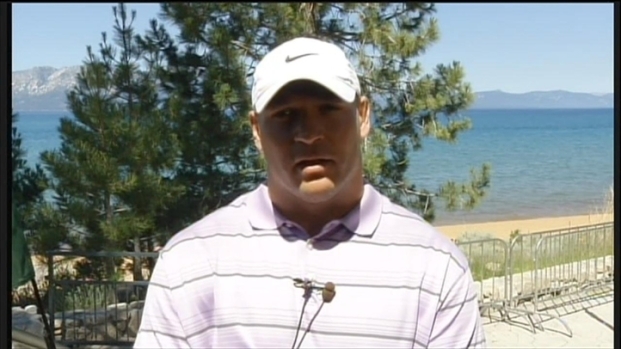 Retired Bears linebacker Brian Urlacher may not be living a “retired life” for much longer. According to a report from Big Lead Sports, the 8-time Pro Bowler is set become a part of the Fox Football Daily on Fox Sports 1, joining Curt Menefee, Jay Glazer, Ronde Barber and others. The deal was completed as of Sunday, a source told Big Lead Sports, and could be announced as early as Monday. NBC Chicago has not independently confirmed this. Chicago Bears quarterback Jay Cutler took questions on Brian Urlacher, Brandon Marshall, marriage and '80s music at his themed dance party to raise money for diabetes research. Urlacher is looming over the Bears because he hasn't gone into a quiet retirement. He's still in Chicago and still talking to the media. In fact, he spoke to NBC Chicago about some ill feelings toward the Bears, particularly general manager Phil Emery and the way his contract negotiations were handled. Retired linebacker discusses life without football, his departure from the Bears.